Experience outdoor living at its freshest and finest on our Colorado’s Rocky Mountains adventure. Anchored in majestic Rocky Mountain National Park, this trip has it all: snow covered peaks, crystal clear mountain lakes, rushing rivers, abundant wildlife, and world-class hiking, rock climbing, and whitewater rafting. For ten days you’ll challenge yourself in this awe inspiring setting, inevitably forming strong friendships and a deeper appreciation for the natural world. Whether you’re a seasoned outdoorsperson, first-time camper, or somewhere in between, CRM is a fantastic trip for all! After meeting at the Denver Airport, we’ll make our way along the Trail Ridge Road, the highest paved road in the U.S., to our first destination in Grand Lake. Here, we’ll spend two days exploring the more secluded, western side of Colorado’s Rocky Mountain National Park where we’ll likely see the highest concentration of wildlife: marmot, bald eagles, and the Park’s iconic elk. Next, we’ll visit the highest Visitor Center in the National Parks Service en route to Estes Park, where we’ll spend another few days hiking and exploring the breathtaking scenery. 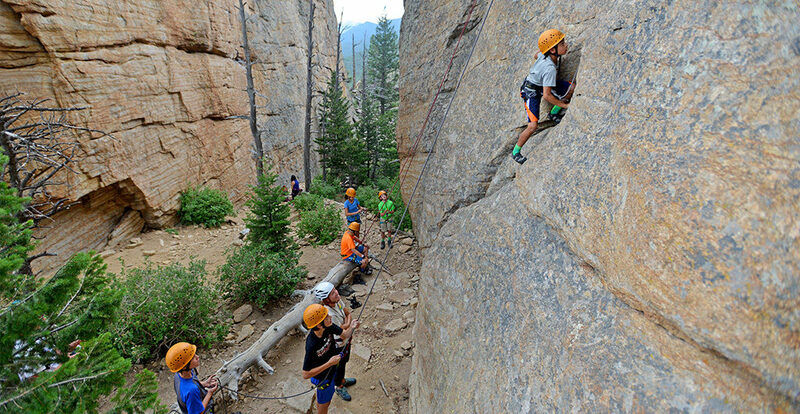 To give our hiking legs a rest, we’ll make our way to some of the best introductory rock faces in the US to spend a day rock climbing with professional instructors. The experience will have something for everyone; under the watchful eyes of our instructors, we’ll learn the basics of climbing and traverse between two rock faces – all with an element of incorporated team-building. 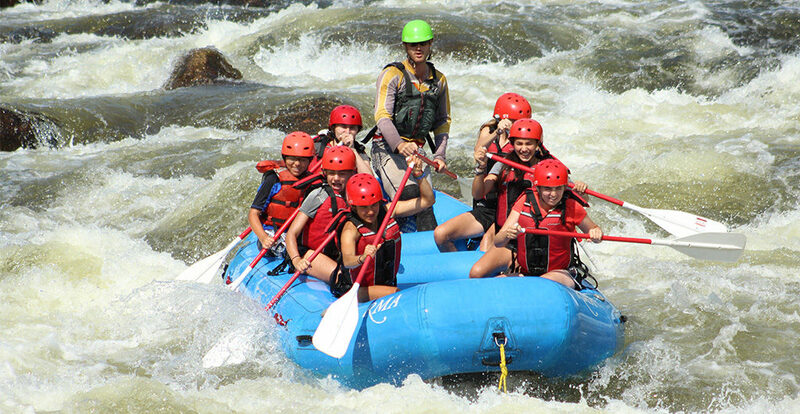 We’ll then transfer to the whitewater of the Poudre River outside of Fort Collins, where we’ll experience, with professional guides, the thrills of class II, III, and even the occasional class IV rapids. For our last stop, we’ll head to the bustling mountain town of Boulder, CO. In the shadow of Boulder’s iconic Flatirons, we’ll get our hands dirty as we help a local land trust with a rewarding community service project. To cap off our Colorado adventure, we’ll spend the afternoon exploring Boulder before celebrating everything we’ve accomplished together with a final dinner on the town. How physically challenging is CRM? Given a rating of Challenge Level 3 (out of a maximum 10), we consider CRM to be a beginner hiking trip that any moderately fit, motivated student can successfully complete with some prior preparation. Compared to similar hiking trips, we believe that CRM is similar in challenge level to both New England Mountains & Coast and Golden State Adventure, but easier than California Mountains & Coast or Maine’s Downeast Explorer. Please note that all of Apogee’s Challenge Levels are not scientific and are subjectively calculated by the Apogee staff. Our CRM groups will be camping every night in established, front country campsites over the course of our trip. Leaders will separate students by gender into tent groups and will rotate those groups several times over the course of our trip. Students will share a tent with one or two other students. In a word, no. All of the hiking on our CRM trip is on established and frequently-used trails. Some of the hiking includes trails that are more than one hour from definitive care (this is the usual definition of “backcountry” hiking). 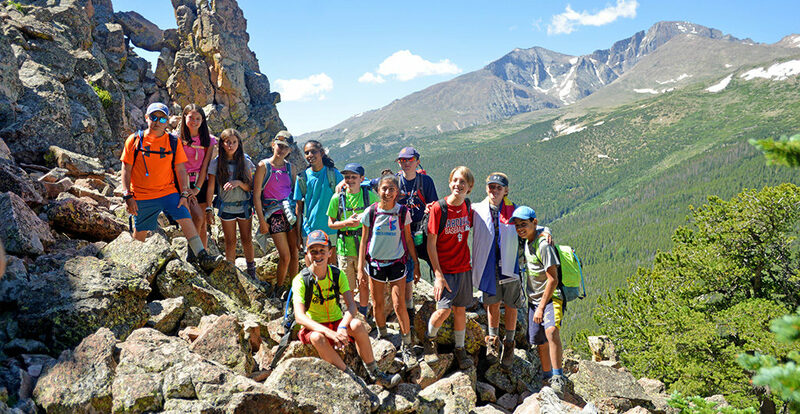 That said, our CRM groups camp in established campgrounds every night (the majority of which are located inside Rocky Mountains National Park), and students can expect regular access to running water. Showers will not be available at every campsite, but students can still expect to shower regularly. How will the altitude affect this trip? Our CRM groups will be spending most of their trip between 7,500 – 8,500 feet above sea level. There will be occasions (whether hiking or driving) when are groups approach 12,000 feet, but this will be for relatively short periods of time. Our groups will likely feel the effects of altitude, but they’ll hike slower than usual and take plenty of breaks. Our leaders will closely monitor every student to ensure that everyone is drinking plenty of water. In the event of true altitude sickness, our leaders will seek lower elevation and definitive care as necessary for any affected student. The specifics of our community service projects and the number of hours we volunteer varies slightly from year-to-year. In the past, we have worked with a local land trust on a variety of tasks including seed spreading, invasive species removal, and trail maintenance. Students can expect 3-5 hours of community service work, usually over the course of one day. Please note that Apogee staff members do not travel with students; our trip leaders will already be in Denver on arrival day and will stay in Denver after the trip ends. Apogee staff and trip leaders will have a detailed flight itinerary for each student who is flying to the trip start and will be at the airport to greet them on arrival. Once students are with their leaders, they will call home to let their parents know they have arrived and are with their group. Please see our blog post for specifics regarding students traveling as Unaccompanied Minors. Further, we encourage you to coordinate travel with other attendees; we’re happy to put you in touch with other enrolled families from your region. We will provide enrolled families with a Travel Information document covering details specific to traveling to and from Denver, including airport information and arrival and departure time windows. Please contact Apogee with any specific questions or concerns regarding drop-offs and/or pick-ups. Apogee’s tuition costs are meant to be all-inclusive and include all meals, accommodation, and activity fees. That said, the most significant additional expenses on CRM will include flights to and from Denver, CO, a sleeping bag and sleeping pad, and hiking boots.